Now the goal of CrossFit isn’t just competition. The competition component is a SMALL fraction of the overall non stereotypical demographic of “CrossFitters”. CrossFit was designed and developed to make people better at life in general; to prepare people for the unknown and unknowable. Let’s be honest, if you were running away from a dog and had to climb over a fence, are you really going to stop and do a strict pull up? No, you will want to know how to fire as many tissues as possible to clear the obstacle as quickly and efficiently as possible. This is an overarching theme that manifests itself in all the foundational movements: an emphasis on generating power from core to extremity. This is an emphasis sadly lacking in “traditional” fitness programs where isolation is an emphasis and not really relevant to real life. The effect for some is the production of all show no go athletes who are uncoordinated and lack the neurological wiring and awareness to use their muscles in concert with one another as they were intended. Don’t even get me started on the lack of mobility for which these “weight lifters” are famous. That’s a whole other discussion. Simply put: a kipping pull up is a pull up. Most people who hate on them can’t do them properly anyway and should put their ego aside before they belittle people who can. The primary reason I dislike machines is that real life happens in free space, in three dimensions. Machines, on the other hand, lock you into a set path, thus isolating a SMALL percentage of tissue that would otherwise be needed in an everyday situation. A very simple to understand example would be a shoulder press. A shoulder press involves taking a resistance and pushing it from your shoulders straight up over your head. Super easy. A lot of people like to use a machine or a bar locked on rails (called a Smith Machine) because it keeps the load stable and going in one direction (up or down). I invite you to conduct an experiment (or just follow me mentally here). Use the machine twice a week for a month on your shoulder/upper body day or whatever you do. Guaranteed…you can get really strong pushing things over your head using this machine, especially if you do it seated. But now go and try to lift the same weight with a bar in free space. Can’t do it can you? A real life overhead lift is VERY complicated and uses a lot of musculature to stabilize the load in all three dimensions. If you only ever use a machine, you are missing out on a great deal of potential to generate real, functional strength. But worst of all, you set yourself up for potential injury. What good are strong arms without a strong stable foundation on which to attach them?! Like I mentioned earlier, using a machine DISENGAGES your core. Why in the world would you EVER want to do that? If your back arches or hurts lifting a free weight, you are probably using a weight too heavy for you in the first place. Who cares if you “look” like a sissy with the 10 pound dumbbells. Make a better decision. Keep your back straight, keep everything tight and build some real life, functional strength. Sitting on the sidelines, getting even huskier with a broke back is not a happy alternative. Disclaimer: All this being said…if you don’t know how to use free weights (and even if you THINK you do…because experience has shown me that the average person doesn’t or has been taught incorrectly). PLEASE PLEASE PLEASE, make a small investment and pay someone who knows what they’re doing to teach you how. Ask them what “midline stability” is and how to best keep your core tight to protect your spine. If they can’t answer that or give you a blank stare at first…go find someone else. They probably don’t know what they’re doing either! I want to start off by saying that I’m super stoked on the progress I’ve been seeing in everyone. Ricardo…your squats like a gazillion times better in just one week. DD…congrats on updating your pants size! Michelle Wilcox…you are SO NOT fat… you’re like a gazillion times stronger and more ripped than when you started 2 months ago! Those are the first three that came to mind, but each one of you is progressing quite nicely. I HAVE been keeping everyone’s scores. I take photos of the results every day…but it’s a full time job keeping them organized. I have 3 jobs already…so I’m failing on keeping up with these. BUT…this shouldn’t be my job anyway!!! Though, I WILL try and keep you accountable. Starting yesterday… I want you all to start logging your own WOD results. A workout journal will help you immensely in tracking your own progress and help you see what areas you need help in. Every week I will ask you what movements need work… and I will give you an individualized WOD to work on those skills or movements. Friday is best for this since Friday is a dedicated makeup or technique day. But if you don’t come on Fridays, we can do it another day. My hope is that you’ll see just how effective CrossFit is and help you meet each of your individualized goals. Why the lacrosse balls and athletic tape? The athletic tape is for those of you who are not happy with the idea of your hands looking like mine… And no..you cannot just wear gloves. I want you to be able to feel the bar. The lacrosse balls will be used to do SMR work to get blood flow to your muscles pre-WOD and to help maintain yourselves when you’re not in the gym and are feeling sore and tight. We’ll go over that more this week. My heart behind this article is to elaborate a little on these two words and share with you my vision as we move forward in this new season at CrossFit Stronghold. Yes, indeed. 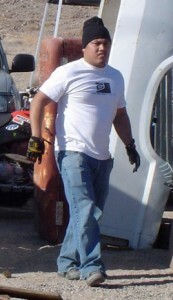 That’s me on December 6 2006. 5’4″ tall, 195lbs, 34″ waist, bloated gut, no neck, and not happy at all. Probably couldn’t run 30 yards without feeling like I was going to pass out. Today I weigh 165lbs, have a 29″ waist, and though I think that ties are anti CrossFit (they are non-functional and restrict range of motion) I wear them upon occasion simply because I can. My sister, as mentioned in her trainer bio, lost 75lbs after her second baby. I love CrossFit because it produces real and functional results. It makes you better at EVERYTHING you do. When I went to my CrossFit coaches training I completely nerded out (and I still do on a daily basis) on all the cool research and hard data that CrossFit has accumulated over the years about human performance and training. With that in mind, I’m Bringing Back The Girls. 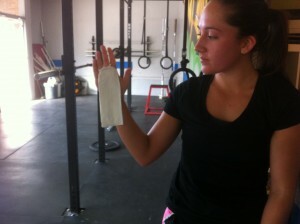 For those of you who may be new to CrossFit, you can get acquainted with them at the CrossFit.com Main Site. The short of it is that every other week we will be doing one of the CrossFit benchmark workouts. We will then revisit each one every 2-3 months so that we can measure your improvement. I mean seriously…what’s the point in doing something to better yourself if you can’t measure your results? While Reebok and the CrossFit Games have done a lot to increase CrossFit’s visibility beyond the local boxes, I feel like the hype has, in a way, clouded a foundational tenet that makes CrossFit so great. Because of it, many people seeing CrossFit for the first time are led to believe that CrossFit is only for the elite athlete. When the actual truth is that CrossFit is for everybody. 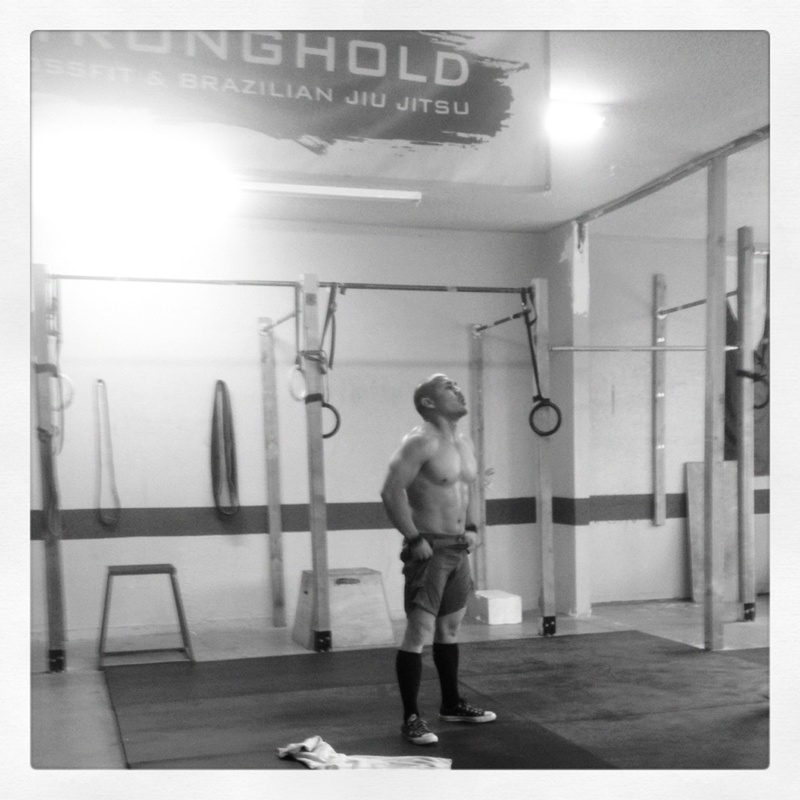 As a CrossFit box owner and coach, my focus isn’t on producing a stable of elite athletes. If I end up coaching one or two people that end up competing at the games, that would be cool. But quite honestly, my joy comes from helping regular people: nurses, lawyers, servicemen, students, moms of young and teenage children, and especially grandmas improve their quality of life. I’ll say it again, CrossFit makes you better…at EVERYTHING. And a fundamental reason behind this is CrossFit’s foundational emphasis on scalability. For this reason, every Workout of the Day (WOD) will be programmed in such a way that it will challenge the veterans and still be accessible to the first timer or for those with special needs. Every athlete, (YES, YOU in one sense or another are an athlete, contrary to what you or anyone else may say about you) is different. While we all have the same fundamental needs, meeting those needs may require a different path for one person than it would for another. Some people need more work than others. As a coach, I am committed to helping you get there as well as fostering a community of athletes that have a heart to help each other. If you think you’re beyond help, Try me. I can’t take credit for this, but ask those who know me… I have an uncanny, God-given level of patience and would love nothing more than to help you overcome your personal challenges. Just come with a willing attitude and a teachable spirit and we’ll be good to go. It’s because of scalability that we can meet the needs of even the most out of shape or physically challenged. And it’s by scalability and dedication that we can achieve results.